Happy Thanksgiving Eve! Here are some events to look forward to this Thanksgiving holiday and weekend. The Children’s Museum is offering an action-packed week with daily Thanksgiving-themed events. The week includes festive arts and crafts activities all and ends on Saturday with the “Pumpkin Plummet” where visitors can participate in a series of pumpkin relay race games and check out how satisfying it is to safely drop a pumpkin from two-stories high. With options to run a 10K, 5K or Kids run, the Houston Turkey Trot is an annual Thanksgiving Day race encouraging runners of all levels to get up, get out, give back and give thanks. The event is brought by BakerRipley and the event supports the organization’s goal to connect and empower Houston. Last year, over 12,000 people participated. There’s still time to register for the run here! Read about trotting with little ones in this month's Buzz Baby. 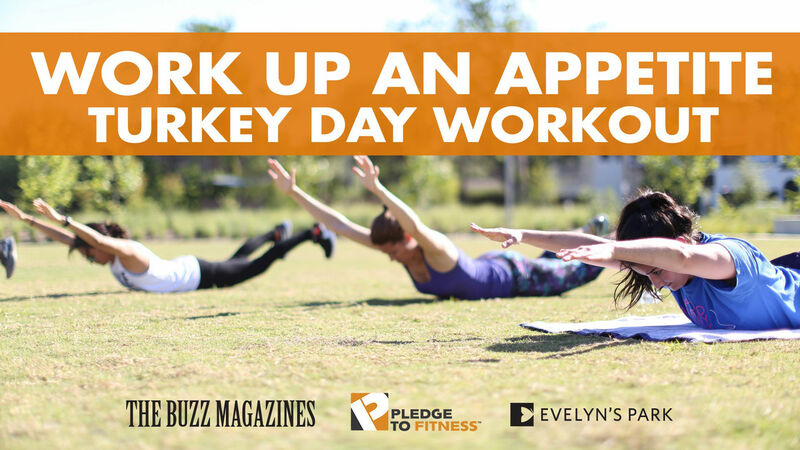 Work up an appetite with The Buzz Magazines and Pledge to Fitness on Thanksgiving Day, 8:30 a.m. at Evelyn's Park. The workout is fun and free to attend. Before the Thanksgiving feast, join The Buzz Magazines for a fun, free, pre-Thanksgiving workout on Thursday, 8:30 a.m. at Evelyn's Park Conservancy with Pledge To Fitness! Meet us on the Great Lawn of the park. Whoever brings the most family members has the chance to win a pie from McHugh Tea! 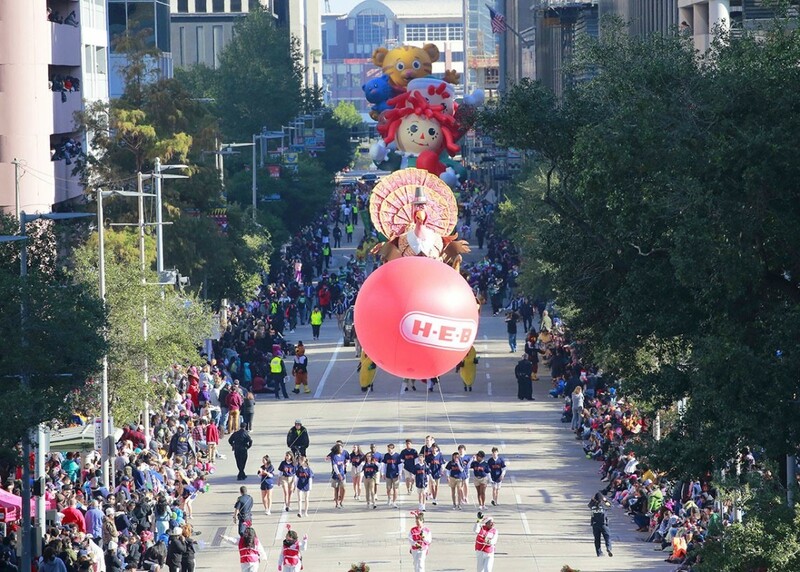 Reigning MLB and NBA Most Valuable Players José Altuve and James Harden will join Mayor Sylvester Turner to kick off the holiday season with the Thanksgiving Day Parade in Downtown Houston. The parade is free and open to the public, and it will include award winning floats, special musical performances, and more! The Texas Renaissance Festival, the nation’s largest Renaissance theme park, is open for its final weekend Nov. 23-26. During this final three-day holiday celebration, the village will transform into a winter wonderland with Christmas trees, holiday music and shops decorated with lights and holiday symbols. The weekend also includes a Holiday Costume and Pumpkin Pie Eating contest. Visit the Houston Zoo this weekend to stroll through 15 miles of earth-friendly light displays. Guests can see LED versions of their favorite animals while enjoying snacks and drinks. The 2018 Magical Winter Lights festival is open on Thanksgiving Day and all weekend long, showcasing creative and festive lights as the nation’s largest lantern festival of its kind. The event takes places at Gulf Greyhound Park and includes eight different themed sections including the festival’s newest section: The Ice and the Sea. The festival also includes a Holiday Market Square offering food and shopping, as well as nightly acrobatic performances. Go ice skating this weekend at the ICE, the largest outdoor ice skating surface in the Southwest, located at Discovery Green. Discovery Green uses water from Kinder Lake to freeze the ice, and all equipment runs on Green Mountain Energy’s renewable energy, ensuring The ICE is environmentally friendly and sustainable. On Saturday, Discovery Green is hosting Flea by Night, its monthly destination market featuring an array of crafts, vintage items, and more. See our event calendar for more upcoming events and our holiday happenings roundup for more upcoming holiday events.